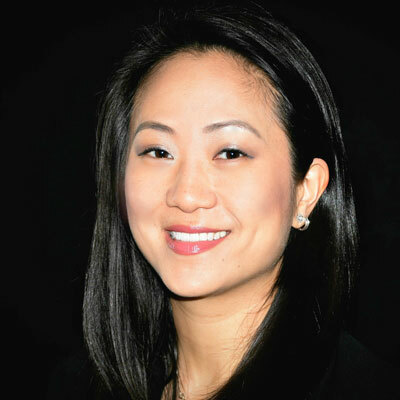 Sheree Wong has worked in the channel for more than six years and is currently Senior Director of Global Partner Strategy at CA Technologies. In this role, Sheree is responsible for global partner strategy development and planning, and collaboration with cross-functional teams to drive business alignment and sales. Sheree started at CA in 2012, providing CA's Global Service Provider Partners with strategic business consulting, sales and marketing expertise, and best practice knowledge needed to help them successfully grow and scale their managed services business leveraging the breadth and depth of CA's product portfolio. Prior to CA, Sheree was with Deloitte Consulting for nearly 10 years, where she worked in the Sales Effectiveness group delivering solutions to business problems across people, process and technology areas for Fortune 500 sales organizations. While at Deloitte, she served as a trusted advisor to CA Technologies leading several strategic sales engagements. She is a graduate of Cornell University. Upon developing a multi-year global partner strategy, my efforts over the past year have focused around execution of the strategic plan across our geographies and routes to market. Beginning with our partners and the belief that we can achieve greater success by investing in fewer, more capable and technically competent partners, I worked with CA's Partner Enablement, Program and Geo Leaders to refine our Focus Partner attributes. We launched a mid-year Focus Partner reprioritization effort to ensure that our most strategic partners are those that meet or exceed our revenue, strategic intent, engagement, and relevance to our business goals. Additionally, I worked with our sales, business unit, and route leaders to gain alignment around a Business Unit Strategic Plan. Collaboratively, we developed plans to proactively bridge projected gaps by quarter across the year. Such gaps were planned to be remediated with route strategic sales plays, projected transactions, launch of sales promotions and campaigns, and other partner investments and activities. As a result, CA's channel business has gained greater relevance internally where partnering has become a priority across the company, and externally with partners where the perception of CA instills a greater sense of credibility and confidence in CA's partner strategy. CA's partner business is maturing and we will differentiate our strategy through greater partner route focus. Customers are seeking outcome-based services and are going directly to Service Providers (SP). As a result, SPs are undergoing a business transformation where their business model is shifting from one that is practitioner-led and technology assisted, to one that is technology-led and practitioner assisted. SPs are developing offerings and building platforms, and are seeking specific vendors to jointly go to market. It's critical that CA is prepared for this transformation with route-based strategies for participation in these platforms and offerings with our SP partners. I was selected to participate in CA's Leadership Development Program, a 12-month program designed to enhance leadership capabilities. Participants are provided with learning opportunities to help make business decisions regarding strategy and key performance indicators, and to practice leadership skills in decision-making, collaboration and risk-taking. Participants increase their self-awareness, reflect on and challenge current ways of thinking, and experience new ways of working that optimize their chances of success. Participants develop themselves in ways that will move the organization forward and build leadership "bench strength." I was listed for the first time on "CRN's Women of the Channel 2017. I'm inspired by Sara Blakely, founder of Spanx. I'm a fan of Spanx products and find Sara's success story interesting. At 27, Sara took $5K in savings to research and develop an idea she had for footless pantyhose. After being turned down by almost all the male-run hosiery mills she presented to, she finally got an offer to support and prototype her idea. Sara pitched her product to Neiman Marcus, and then to several other luxury department stores. Sara handled all business functions including development, sales, marketing and logistics. In 2017, Forbes named Sara #16 on America's Self-Made Women list. Appreciate the precious time you have with your family, especially Dad. You and your sisters will grow up faster than you expect to, but you will also all grow strong from your experiences together. When you're young, you don't necessarily prioritize family and may take the time you have together for granted. You expect Mom and Dad to be around for a long time, but that's not guaranteed, so appreciate every moment you have with them. I would be interested in learning how to code. Computers and technology are everywhere today and knowing how to code seems as if it would put me in a position where I would be more of an active participant in the digital world. I am also intrigued by how coding would impact my logical thinking abilities. In my current role, I enjoy solving problems and breaking things down in order to get to a solution, but I have never been challenged with solving a problem by writing a program. "The Ketogenic Diet: A Scientifically Proven Approach to Fast, Healthy Weight Loss" by Kristen Mancinelli. I was curious about the ketogenic diet and wanted to eat healthier this year. I appreciated that the book didn't get overly complex, but gave me confidence since the data is backed by ample science and research. The book explains what a ketogenic diet is, provides a lot of knowledge on carbs, fats, and cholesterol, and provides helpful lists of what you can eat, along with some great recipes. The book is easy to understand and provides in-depth guidance on how to get started.